These package tours are just suggestion only to help you in planning your trip. You can discuss with your tour operator or travel agent to finalize the price and duration of your package. Start early from Shimla. Travel 176 KM to reach Sarahan. It will take 6 hours. On the way at a distance of 65 KM is Narkanda. You can take a short trip to Hatu peak. After reaching Sarahan visit Bhimakali temple. Night stay at Sarahan. Start from Sarahan and leave for Sangla. ( 94 KM ). 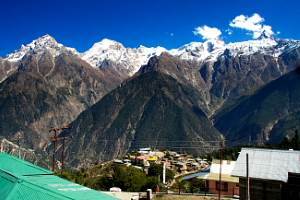 If time permits visit Chitkul the last village of Indian side, another 26 KM and return to Sangla or stay at Chitkul. Or you can visit Chitkul next day. Night stay at Sangla. Start from Sangla and leave for Kalpa. 51 KM , three hours drive. 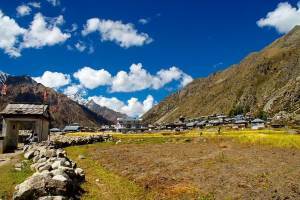 If you have not visited Chitkul then visit Chitkul and return to Sangla and then proceed to Kalpa. Night stay at Kapla. If time permits visit Kalpa village. Return to Shimla by evening. Night stay at Shimla or return by Bus / train to Kalka � Delhi. 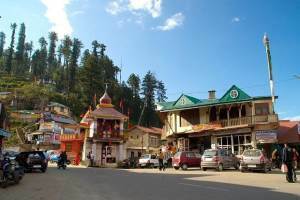 Need to know the cost for Shimla-Kinnaur 5 days package and Lahaul-Spiti kinnaur 10 days package. 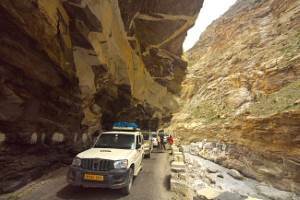 I need information Shimla- Kinnaur-Shimla4 5 days package trip. What would be the price for 6 people? 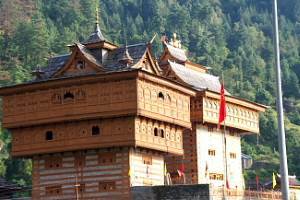 We would like to visit Simla sarahan sangla kappa in the 2nd week of December 2014. Will it be a difficult tour due to winter? I like to visit simla Kalpa saharan chitkul kulu manali. Time 12 to 15 days. Date of journey 18.12.15. Please inform me about 1. weather 2.cost 3. distance from spot to spot.